Did you know that in the 1800s hay fever was considered such a rare condition that most people had never heard of it? But as people migrated toward cities and away from the lifestyles that protected against allergies, like farm living and whole foods, hay fever became a term everyone knew, because the condition became common. I spent the weekend with my very dear friend. It was cold and rainy on Saturday, so we took her kids to see the Peanuts movie. On the way her 7 year old said, “I can’t go to the Peanuts movie, I’m allergic to peanuts.” He was joking about the movie of course, but it struck me again, as when my granddaughter told me a few months ago that she couldn’t have nuts at school because it can make her friends sick, that peanut allergies are so common that they are household language for kids and even fodder for a joke – at least by my goofy godson. But food allergies are no joke. 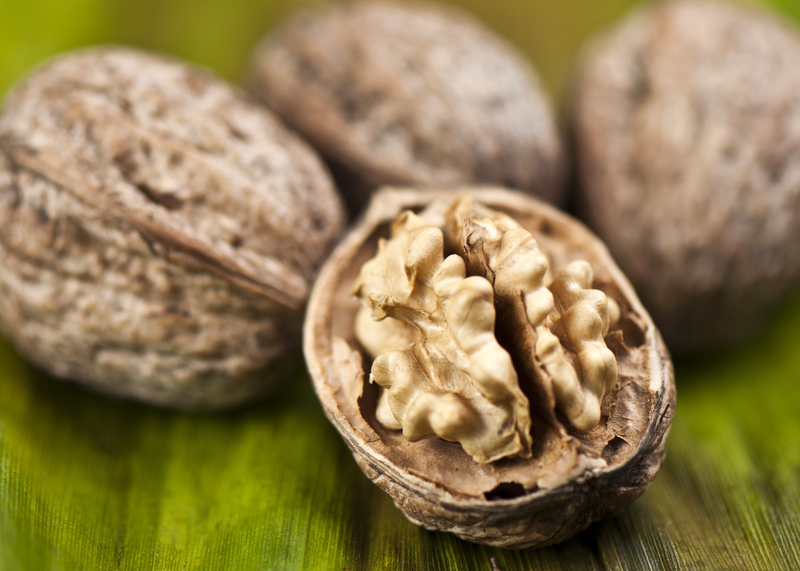 In the worst-case scenario, food allergies can lead to anaphylaxis and death. But sufferers, when making food choices, also feel the impact on a day-to-day basis. Eating out, school lunch sharing amongst kids, and social gatherings can become anxiety-provoking events, both because of worrying that a choice might accidentally lead to a serious reaction that causes the throat to close and breathing to stop, but also due to chronic self-consciousness over being the one who doesn’t eat this or that. Since as many as 10% of Americans, and 4% of US kids have a food allergy, I wanted to explore that topic — what they are, what testing is reliable, and how we as individuals and a society, can prevent them. Food allergies are one of the conditions, along with diabetes, asthma, and obesity, that are affecting kids and adults in epidemic proportions – to the extent that Martin Blaser, author of Missing Microbes: How the Overuse of Antibiotics Is Fueling Our Modern Plagues, has called them, well, just that – a modern plague. While we’ve been mostly taught that food allergies are just a result of some bad luck in the genetics department, in fact, food allergies may be more preventable than was previously thought. This article will review the basics of food allergies, testing, and treatment, and will hone in on the ways we can prevent them from developing in the first place – for our children and even for ourselves as adults. To be clear, this article is not about natural remedies for reversing or trying to treat food allergies – and I don’t want you to experiment with your food allergies at home! I hope you find this article helpful! The scary reality is that anyone can develop an allergy to a food at anytime. In fact, some allergies, especially to shellfish and peanuts, can arise for the first time in adulthood. The most significant risk factor in the development of food allergies is a history of eczema or asthma. Therefore, preventing these chronic inflammatory conditions is important, as this is also likely to prevent the same immune system disruptions that lead to the development of food allergies. Two major risk factors for the development of childhood asthma and eczema are cesarean section and antibiotic use in the first few years of a child’s life, including at birth or when administered to the mother during labor. Cesarean prevents the inoculation of the baby with normal vaginal flora at birth, which otherwise should lead to normal immune system development in the baby; antibiotics can also damage the gut microbiome. Additionally, damage to the gut lining from antibiotics, and also NSAID (i.e. ibuprofen) use, for fever for example, can lead to intestinal hyper-permeability (“leaky gut”). This in turn leads to sensitization to proteins from food that trigger immune hyper-reactivity when they migrate across the hyper-permeable intestine. Interestingly, the rise in the last 3 decades in the overuse of cesarean section (now at a rate of 34% of births in the US) and antibiotic over-prescription in children and adults (as many as 70% of all antibiotic prescriptions in the US are unnecessary, including to children), has paralleled the rise in eczema, asthma, and food allergies. A pregnant woman with food allergies is also much more likely to pass this predisposition onto her child due to the child’s exposure to immunologic factors from the mom during pregnancy. Reducing unnecessary cesarean sections, avoiding unnecessary antibiotic use, and giving a pregnant mother a probiotic in her third trimester reduce eczema and asthma risk. Babies born by cesarean or exposed to antibiotics early in life benefit from receiving a probiotic starting at birth, and for the first 9 months of life. Older children with a similar history may also benefit from 6 months of probiotic intake. It is possible that the high rates of antibiotic use that typically persist into adulthood (most Americans have had 30 rounds of antibiotics by their late 20s!) and the excessive use of NSAIDS for control of pain and inflammation, may predispose adults to a higher risk of developing a food allergy, and should be discouraged. Obesity and vitamin D deficiency, both of which are common in kids and adults in the US, are also risk factors for developing food allergies. Of note, early or frequent antibiotic use and cesarean section are also both independent risk factors for obesity, due to disruption in gut flora, which control calorie extraction and other factors that impact weight. Finally, numerous environmental toxins from BPA to heavy metals like mercury and cadmium have been proven to alter the functioning of the immune system, even changing the shape and development of important immune cells. We now know that at the time of birth, newborns already have a “toxic load” (or body burden) in their umbilical cords of at least 270 different environmental chemicals that are potentially toxic. This means, sadly, that the blood we are nourishing our babies with in pregnancy also might contain toxins that are impairing immunity, increasing the risk of food allergies, amongst a host of other problems. While there are many chemical exposures we simply cannot avoid in pregnancy because they are in our air and water, we can do our best to minimize exposure to cans with BPA, storing and heating our foods in plastic, the use of non-stick cooking pans, heavy metals and other toxins in our cosmetics and body products, and herbicides and pesticides in our foods by eating organic whenever possible. While there are about 170 foods that have been identified as allergenic – or capable of triggering an allergic reaction – the most common food allergies are to cow’s milk, peanuts, tree nuts, eggs, soy, wheat, fish, and shellfish. Peanuts, tree nuts, fish, and shellfish account for almost all of the severe and fatal reactions. For about the past 20 years, pediatricians have been advising parents to avoid giving babies and young children the foods most likely to trigger allergic reactions, with the belief that this would prevent later development of food allergies. Medical evidence has now shown that not only was this incorrect advice, but that it may have contributed to the rise in food allergies. It turns out that in the countries where kids have early and regular exposure to these foods, particularly wheat and peanuts, especially while they are still breastfeeding, food allergy rates are significantly lower. This is the case even for babies at high risk of developing food allergies due to eczema. One study showed that babies with eczema who were given peanut butter starting between 4-11 months, and continuing through their 5th birthday, were 70-80% less likely to develop a peanut allergy! The current recommendation, based on international data, suggests that the best thing we can do to minimize food allergies is to introduce a wide variety of foods, including the ones that have typically been known to cause allergies, around 4-6 months of age, and ideally to continue breastfeeding for another 6 months after the start of food introduction. If you are exclusively breastfeeding this doesn’t mean you have to introduce foods early, but doing so does seem to provide maximal protection. And of course, if your child already has a peanut (or other food) allergy, this is different and don’t give it. Food allergies and food intolerances are different medical conditions due to differences in how the immune system reacts in each. Food allergies trigger what is called an IgE-mediated reaction which affects multiple body systems and can lead to the many different symptoms of a food allergy including runny nose, sneezing, congestion, wheezing, and throat swelling, nausea, vomiting, belly pain, and diarrhea, skin itching, redness, and hives, and racing heart, weakness, low blood pressure, and fainting. Food allergies are believed to be a cause of new and quickly increasing conditions: esoinophilic esophagitis and eosinophilic gastroenteritis. Food allergies are also the culprit in about 35% of cases of childhood eczema. Symptoms may be mild to severe, and typically appear within minutes of eating a triggering food, but can occur up to several hours later. Some allergies are more likely to be outgrown than others – for example, children who couldn’t tolerate eggs, wheat, dairy, and soy may be able to as teens or adults; peanut, tree nut, fish, and shellfish allergies are less likely to be outgrown. Also, not only have food allergies become more common in the past 3 decades, they have become more severe and less likely to be outgrown. Food intolerances, which can be to a variety of foods, but most commonly to gluten, foods that cross react with gluten, dairy, and fructose, cause digestive symptoms and due to gut inflammation, can lead to more chronic health symptoms ranging from digestive, skin, and mood and behavioral problems, to name a few. Irritable bowel syndrome is commonly caused by food intolerances. Histamine intolerance is less common than food intolerance, but is triggered by many foods, because many foods either contain or cause the body to release histamine. Symptoms often affect multiple systems, are more likely to resemble a true food allergy, usually occur shortly after eating the food, and can be quite troublesome. There is some association in the medical literature between histamine intolerance and leaky gut. An allergist diagnoses food allergies based on IgE testing for specific allergens, skin prick testing (SPT), sometimes along with a food challenge. A positive IgE tells you that there has been sensitization to an allergen, but doesn’t mean that you are allergic to the food. However, a positive IgE test plus a prior food reaction or positive food challenge test indicates a food allergy. SPT is about 90% accurate in picking up food allergies. A food challenge test can also be used to follow up on kids who have had food allergies to see if they have been outgrown, and a food challenge can be used this way also. Food challenge tests should not be done at home – they should be done in a supervised medical setting. Many functional and integrative medicine doctors use IgG testing – this should not be relied on to test for true food allergies, and can even give some misleading information regarding food intolerances. Unfortunately, there is no “gold standard” or FDA approved treatment for food allergies – so strictly avoiding food triggers is currently the best plan, with testing possible for older children if you want to see if they have outgrown an allergy. It’s also really important to have an emergency plan for yourself or your child, should you have an accidental exposure, which is common even in our increasingly peanut-phobic society. This includes having an Epi-Pen in strategic places, like at home, in your handbag, and for your child, in the school nurse’s office. It’s also important to know how to use one effectively and safely. Oral immunotherapy (OIT) which involves actually ingesting a food allergy trigger, and sublingual immunotherapy (SLIT), which involves putting the trigger under the tongue and gradually increasing the doses over time, has been shown to be of some benefit, however, allergic reactions can occur. OIT is a bit more effective whereas SLIT is slightly safer. Newborns should receive a probiotic with these species for the first 9 months after birth if they’ve been born by cesarean, or if they or the mom had an antibiotic during or after labor. Encourage the wide introduction of foods to babies and young children (and ideally, in the context of breastfeeding for the first year of life). Avoid exposure to environmental toxins as much as possible. The allergenicity of some foods may be mitigated by how they are prepared. For example, roasting peanuts makes them more likely to trigger an allergic reaction, whereas heating dairy products and baking eggs makes them less allergenic. If you or a family member has a food allergy, of course, do not introduce any potentially allergenic foods without discussing this with your doctor. The Environmental Working Group website offers a wealth of resources for reducing toxin exposure during pregnancy, for your kids, and for yourself as an adult, from learning which foods to avoid unless organic, to which cosmetics, household products, and other commonly used products are the safest or riskiest. While the federal government and industry need to do their part to reduce our exposure to toxins, we cannot wait for them to take the steps we can take to prevent food allergies in our kids, ourselves as adults, and for all of our future health. While it might not be possible to prevent the development of all cases of food allergies, there are promising steps which can lead to some reduction of food allergies, as well as eczema, asthma, and other related chronic health problems, including IBS, obesity, and diabetes. Bhavisha, P and Volcheck, G. Food Allergy: Common Causes, Diagnosis, and Treatment. Mayo Clinic Proceedings. Volume 90, Issue 10, October 2015, Pages 1411–1419. Du Toit, G et al. Randomized trial of peanut consumption in infants at risk for peanut allergyN Engl J Med, 372 (9); 2015: 803–813. Aviva, in cases where there's a lot of family members with documented Celiac disease, does it still make sense to intentionally expose the baby to wheat? Even if a baby is being exclusively breastfed, is this just an unnecessary potential blow to their gut health? In high risk cases with celiac, then I recommend NOT doing the exposures in my practice. Interestingly, data seems to be emerging that when the risk for celiac is high that's one of the times NOT to do early exposure. Great question! Thank you for all your great articles and blogs. They are informative, fun to read and just the right length. Thanks for spreading your wisdom to help the world become a healthier place to be, one person at a time. Thank you for the very helpful and informative article. My family has been plague with allergies and related conditions (asthma, eczema) for generations. It's wonderful to learn of some ways to prevent allergies in future generations. As an adult, I was fortunate to find Nambudripad's Allery Elimination Treatment (NAET) through my doctor of Chinese medicine. The treatment eliminated my severe reactions to grass and pollen, peanuts, and shrimp. Such a relief and a joy to enthusiastically greet the spring rather than hide inside cowering. Also a relief to not be terrified of my food has come into contact with shrimp or peanuts. Can you tell me the recommended vitamin d supplements for a 20 month old, 5 year old and 10 year old? Curious to know if you think there is a link to the increased number of vaccinations (which contain antibiotics and toxins) in infancy and early childhood and the increase in food allergies? I am anaphylactic to many foods and intolerant to additional foods. I have not vaccinated my 2.5 year old yet because I want her gut lining to have more time to develop. She does not tolerate probiotics well and is gluten and dairy intolerant. Her IGe tests have come back negative but I don't trust it since she has never been exposed to any of the foods that were tested. And living in California has now proven to be very complicated since we want to send her to preschool next year (SB277). Thank you for any insight. If so, it's only on of MANY possible triggers -- but for a small subset of kids, it's theoretically possible. I think environmental issues are more the overall culprit day to day, but am cautious with highly atopic kids in my practice. Growing out of allergies such as milk may be correct for awhile in a young adult's life but seem to reappear in middle age. Food intolerances, which can be to a variety of foods, but most commonly to gluten, foods that cross react with gluten, dairy, and fructose, cause digestive symptoms and due to gut inflammation, Could you explain this statement a little bit more. Fructose in reference to all sugars? (cane, beet, maple syrup, molasses, honey ect.. Foods that cross react with gluten, dairy and fructose? My Natural path has removed all dairy, gluten, corn, caffeine, chocolate and sugars, because of low absorption. I am 60 with a T score of 3.6 in spine and have to have iron infusions every 4 to 5 months because of low iron stores. I also have "diverticulitis' attacks. I am having a very hard time with the 'sugar' removal from diet. So I need to have a better understanding of the sugar or fructose interaction. I am losing about 2.5 lbs a week since removing everything with a great reduction of sugars, but not completely. I read this article with interest, as my now 22 year old son suddenly developed an allergy to sunflower seeds and oils. He was born with a club foot; in a cast for almost the first year of his life; and developed eczema on his leg during and after the cast. We managed that, but a few years back, while at a friends house, eating sunflower seeds, his mouth became tingly and his throat tightened up. The friends Mom knew what to do for him, so he was alright. I forgot about this many months later and purchased something without looking at the ingredients. When he ate some, he immediately knew something wasn't right and stopped eating it (it had sunflower oil in it). I have not forgotten about this sudden allergy since. I had not heard of being allergic to sunflowers, but an allergy is an allergy, and the reaction can be a scary one. I can personally attest to this. I took powerful antibiotics and around the clock NSAIDS for mastitis when my daughter was 1 week old. I knew it had really damaged her gut because her bowel movements and gas smelt like rotten eggs and she was exclusively breastfed. At 6 months she then develops head to toe eczema. I give her a tiny bit of egg and she profusely vomits. I omit dairy from my diet and her bad silent reflux improves. She got tested at 11 months and is allergic to eggs, dairy, peanuts and almonds. The immunologist said never to use a food on eczema because they are likely to become allergic and I had been using almond oil. He also agreed she most likely had these allergies due to my antibiotic use. She is now 18 months old and her reflux has only just left after starting her on a supplement containing quercetin and zinc. I also give her slippery elm, bone broths, probiotics and fermented foods. She is also still breastfed and I continue to omit the foods from my diet as well. I am determined to heal her damaged gut. The immunologist also said he believes they will have a peanut allergy cure in the next five years as they are having major breakthroughs and there is big money in it. Best wishes to all who have kids with food allergies, I know how worrying and challenging it is. Thanks Aviva, love all your info. This is really frustrating for me as we did everything "right" (all natural birth, nursed till 3 yrs, delayed vaccines, all natural, mostly organic diet, very rare antibiotic use) but our second son is allergic to eggs, seaseme seeds, coconut and has trouble digesting milk. My husband and my eldest son have celiac but there are no other food issues in the extended family, not even lactose intollerance. . How did this even happen? Now I'm pregnant with my third and I can't help but wonder if there is anything I can do differently or if it's epigenetic and unavoidable or if there's something obvious I'm missing. Like I said, it's just really frustrating! Actually, I don't ever recommend exposing infants to food at 4 months. I support extended exclusive BF'ing. I am sharing the evidence on food allergies and the evidence includes exposure at 4 or more months for infants. It is not dangerous advice even if it disagrees with your values and approach. It is actually well-studied pediatric evidence. But again, my preference is extended BF'ing - the facts are also that introduction of some of the controversial solids by 8 months does reduce allergies. Hello I have a question. I take a probiotic everyday again since my third trimester. My baby is 3 months old now and I think the probiotics help her digestion and she has never been constipated. I also have no allergies which is a plus. Going to my question I'm wondering if she needs a separate probiotic for herself since I take one? I exclusively breast feed so I think she's ok but just wondering. I tested positive for group b strep so I had to be on antibiotics during labor. Also she spits up a lot and I have talk to her pediatrician about it and I recently saw a GI doctor. No antacids given. Hopefully that's last resort and I'm glad the docs are taking that route. Wondering if you have any suggestions. Thank you! This article was a very interesting read. Thank you for publishing!